This listing is for 3 x 3 inch sticky notes. 25 sheets per pad. Please select your option carefully from the dropdown! Single sticky note pad or 2 for $5. 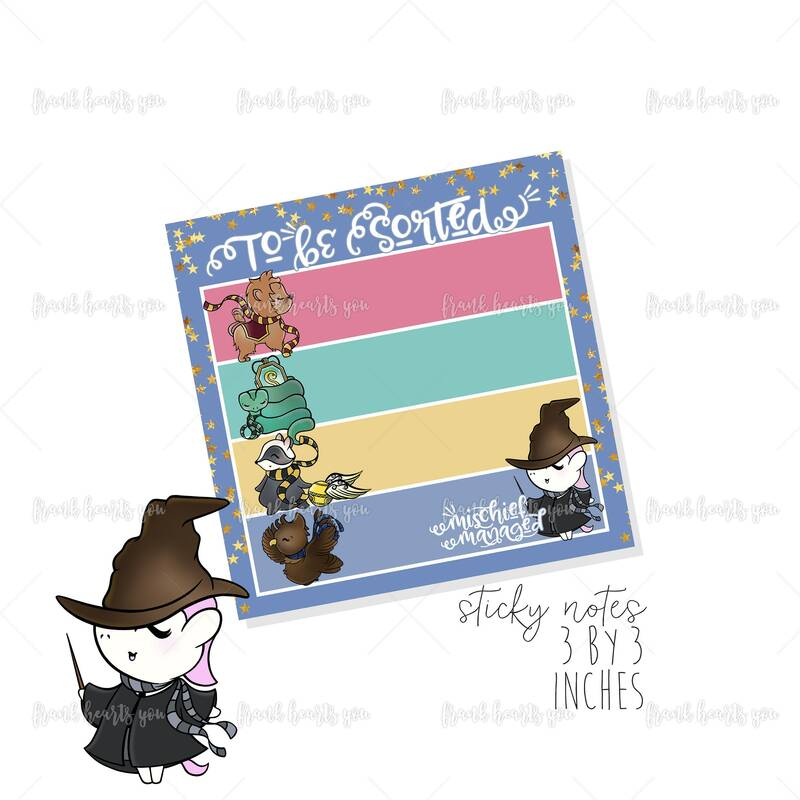 Perfect accessory for my Harry Potter planner. These are my favorite post-its ever!